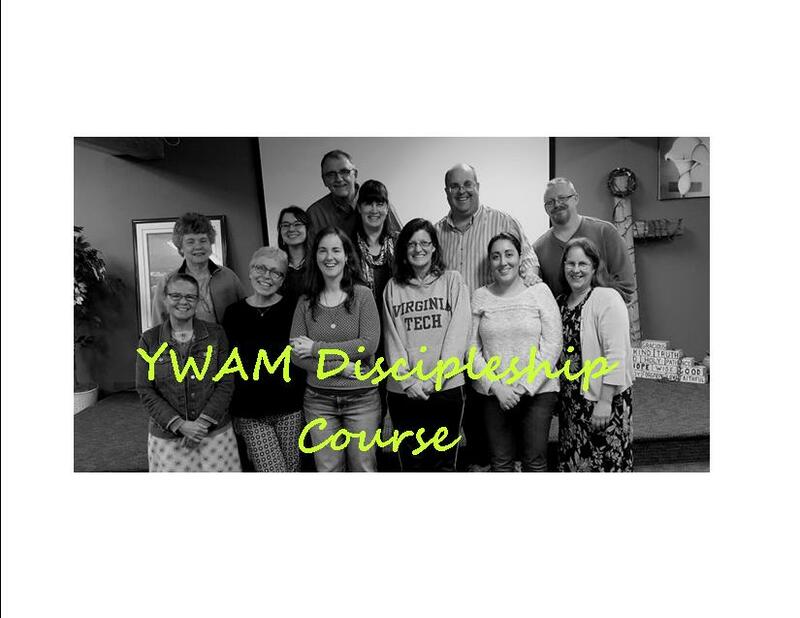 Many people have heard of YWAM’s well-known Discipleship Training School, or DTS. Multiplied thousands the world-over have been blessed by the DTS. For many, it becomes the foundation of their future Christian life. 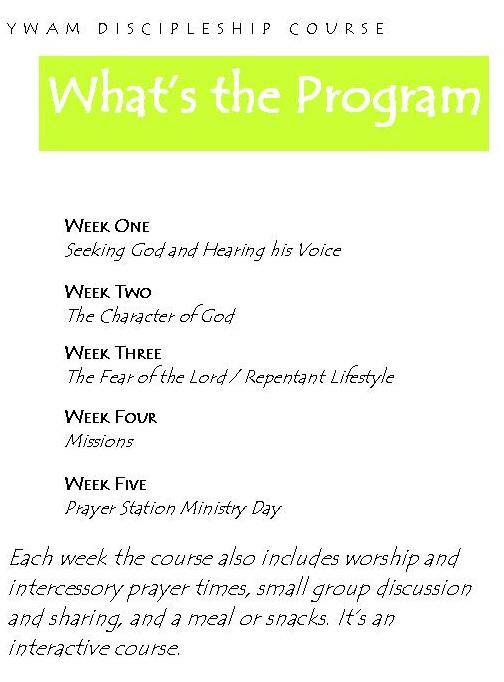 Among the difficulties of attending the DTS are that it lasts for five months, and costs several thousand dollars. For this reason many cannot even imagine themselves taking the school. 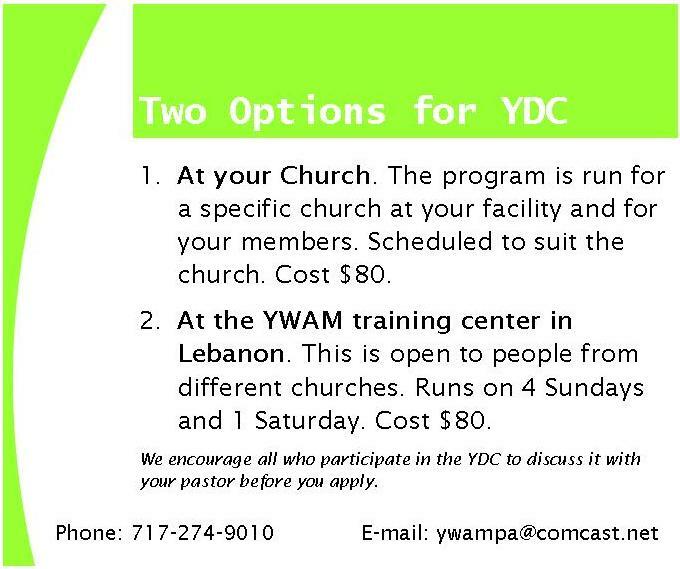 YWAM Lebanon would like to bring the blessing of DTS to your church or group. 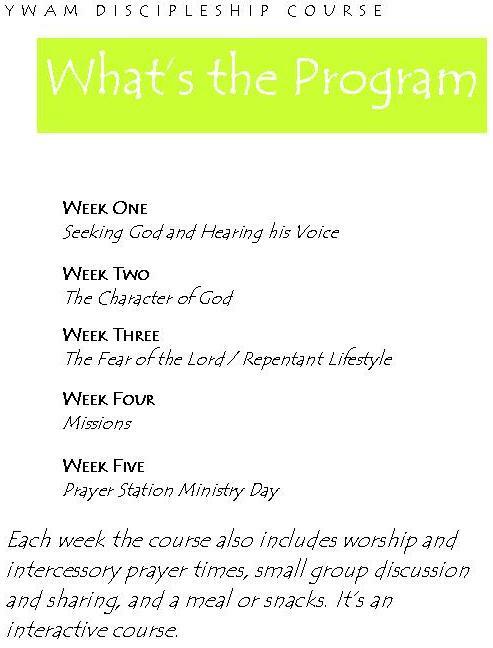 To accomplish this we are offering the YWAM Discipleship Course, or YDC. In April of 2017 we held our first session. Six people from different churches in the Lebanon area joined us. It was a great time. Why don’t you look over this course? Our next YDC will be between July and October. Contact us if you are interested.